Usually, today’s post and party is dedicated to us cats. After all, in our minds, there is no topic more worthy of our time and attention than us. But today, Mom says things are a little different. There’s a few things that are going on behind the scenes that will impact our blogging schedule over the next several days that she feels you need to know about. We are in the midst of switching hosting providers and are about to begin moving our site (which includes approximately 2800 posts and more photos than we can count on all the paws of our feline and canine friends combined!) and converting to https. During this process, you should still be able to access our site (purrs!) but once the move begins, we will not be able to add posts or update our site until the process has been completed. As a result, we are extending the open dates on all of our current blog parties (Inspire Me Monday, Wordless Wednesday, and Friendship Friday) so that you can continue to share your creativity with us and connect with everyone in the community during this time. We will resume posting new material as soon as the transition/conversion is completed! In the meantime, Tsunami and I love serving as your friendly, furry feline hosts and we’d love to meet and greet you and your friends (whether you have two feet or four paws!) Even our winged and scaled counterparts are welcome – we love you all! So, have a fabulous week and hopefully, things will settle down soon and Mom won’t have to pre-empt us on our special day any time soon! What’s happening behind the scenes of your blog? I have moved my blog once and that was several years ago, I cant imagine doing that now. Wishing you good luck with your transition that it will be smooth!! I hope all goes well. Sending you positive thoughts in that direction. Thanks for hosting and I hope that you have a wonderful rest of the week. Thanks Ellen – hope you and the kitties are having a great week! Thanks Claire – I remember your move – your blog looks amazing! Thank you so much dear ones – the move begins shortly! This is how I lost my blog once, because I was trying to move it elsewhere. It’s not that I didn’t do it before but I wasn’t careful enough and bam! It died right before my eyes. :)) That is why I now am on WordPress.com and all my headaches are gone. 🙂 Good luck with your moving process! Egads! So glad you have a lovely new blog now! We are working with a pro to get this done – otherwise it would probably not be happening! That sounds like a huge undertaking. Good luck with it. I hope everything goes smoothly! I did it and had even more posts than you and I didn’t have any problems at all! Thanks for the encouragement Pam! How long did the process take for you? Looks like your all comfy. I also played if you have the time stop in for a little treat. Wishing you all the best for a smooth transition! I’ve just moved across to https but Charles of WPOPT did it for me. Despite having blogged for so long everything transferred with virtually no downtime. Charles does host my site though so that may have helped. I have had no problem with pins and best of all my traffic has gone up. Look forward to seeing you back soon. Thinking of you! Such a beauty of a kitty! I hope the transition goes smoothly. That sounds like bunches of work, Miss Joy. I hope that everything goes smoothly during the move to that Mr. Https’ house. Maybe he’ll provide free buttered popcorn and nom nom treats for you. Tee hee hee. Thanks a bunch for hosting the hops each week. Winks. We hope your move goes well and safely. Wow, moving sites is a big undertaking. Is your human doing it on his/her own or you’re having someone do it for you? WE might want some tips later on. Thank you for hosting and stopping by my WW 7/3 to linkup as well!! Hope you will enjoy the 4th of July celebrations!!! Oh how exciting! A move!! Who is your new provider going to be? I’m sure it will go smoothly! 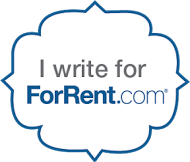 Thanks Lisa – moving from Hostgator to A2 Hosting! May the peace of the Lord be with you during this process and always. May the peace of the Lord be with you during this process and always! Hope it all goes well for you, in the meantime enjoy the down time and see you on the other side! We hope you are OK and things go well over the next few days.